Defending champion Roger Federer continued his march towards a landmark 20th Grand Slam title by snuffing out the threat of Jan-Lennard Struff at the Australian Open on Thursday. 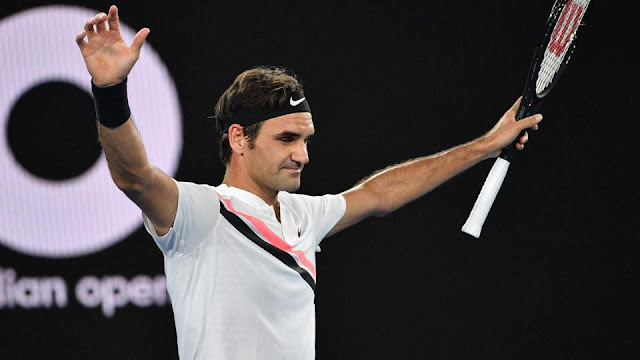 Federer maintained his perfect record of always reaching the third round at Melbourne Park, in his 19th appearance, with a 6-4 6-4 7-6 (7-4) victory in a highly-entertaining encounter. "I knew he was going to go for his shots, it's a question of protecting your own serve as well as you can, then try to get a break. I thought it was a good match, I enjoyed it," said the Swiss second seed. Stan Wawrinka's comeback tournament ended with a second-round loss to Tennys Sandgren. The 2014 champion was back in action for the first time since Wimbledon after undergoing surgery on his left knee, but never looked comfortable against American Sandgren, ranked 97, and lost comprehensively 6-2 6-1 6-4. It was a landmark win for 26-year-old Sandgren, who had never won a Grand Slam match prior to arriving in Australia and will face young German Maximilian Marterer in the last 32. World No 94 Marterer reached the third round with a 6-4 4-6 7-6 (7-5) 3-6 6-3 over Spanish veteran Fernando Verdasco. Fourth-seeded Alexander Zverev overcame a mid-match lull to advance to the third round with a 6-1 6-3 4-6 6-3 win over fellow German Peter Gojowczyk and will now face a next generation clash with South Korean talent Chung Hyeon following his 7-6 (7-4) 6-1 6-1 success over Daniil Medvedev of Russia.